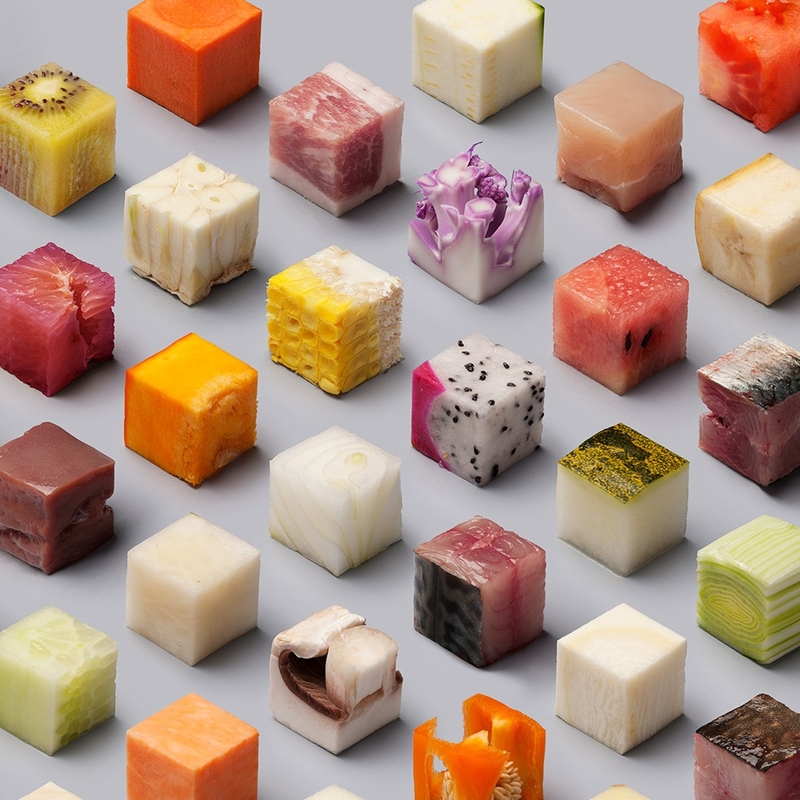 Design studio Lernert & Sander have taken food to the next level with their photo project titled “Cubes”. 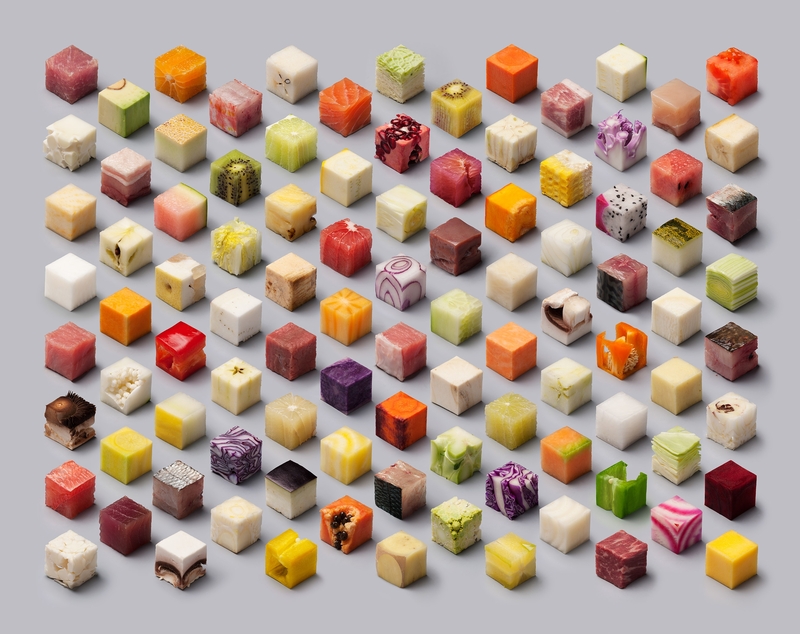 The project was commissioned by Dutch newspaper “de Volkskrant” in 2014 for a food-themed documentary, and Lernert & Sander stepped up to plate with a giant print of 98 different food cubes. Each identical 1″ cube is cut from a different food product, and the materials range from vegetables, fruits, meat, and even mushrooms! All of the food was freshly cut before their photo session, keeping the products looking clean and tasty. The food was cut using a unique slicer over the course of the five-day photo shoot session, and come together into one isometric presentation. Lernert & Sander are currently selling prints of the finished piece through their website, so fans of the clean design aesthetic and delicious food can have one of their very own!